Over the years, we've trained thousands of students who want careers in office administration. They come from all backgrounds, age groups, and walks of life. But there are a few things our office assistant students seem to have in common. 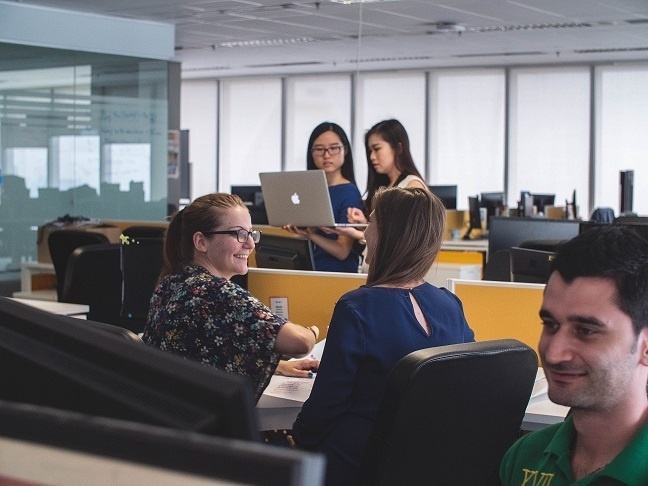 First, they're naturally interested in the operations side of business—the daily tasks that keep offices running smoothly. They are well-organized people, with excellent communication skills, and a strong sense of team work. Second, many of our office admin students are juggling several other responsibilities, outside of school. Quite a few are working full or part-time. Others have families and jobs. The big question is, how exactly are you supposed to get a new career started, if the training doesn't work with your schedule? It's a very good question—and a major challenge many students are facing, whether they're seeking university degrees, college diplomas, or professional certifications. Thankfully, some schools are beginning to step up, and offer more flexible versions of popular programs. This is giving smart, hard-working people the chance to upgrade their career options, without sacrificing their jobs or giving up time with family. At Herzing Winnipeg, we've recently launched the Flex-Ed system, which allows students to choose from a range of different study options. This means many of our programs are now offered on campus, online, or a hybrid combination of both—depending on what the student needs. The Office Assistant Diploma is one of those programs. Here's a look at 4 different ways you can customize your office assistant training to suit your schedule. For some students, it makes more sense to complete their training all in one shot. The faster they graduate, the faster they start their new career. These are students who can make time in their schedule for intensive, daily classes on campus, 4 days a week. This study format lets them accelerate through the program, and earn their Office Assistant Diploma in just 6 months. Classes run Monday through Thursday, for about 5 hours per day. The 6-month program also includes a 4-week internship at a local business or organization. Want to accelerate through the Office Assistant Program, but can't make it to campus for class? No problem. Using the Flex-Ed system, you can complete your diploma entirely online, and still finish in 6 months. You'll follow along with class lectures and assignments online, using an interactive multi-media learning platform. If you need help or have questions, you'll be able to contact your instructor directly for support. Flex-Ed always includes group discussions and projects that allow you to connect with fellow students, so you're not totally alone in the learning process. Plus, you have full access to all campus resources, like the educational funding team and career services. The major benefit? You can do your studying in the morning, afternoon, or evening—whenever it's most convenient for you. You never have to visit the campus at all, if you don't want to. Let's say you're not able to devote several hours a day to learning and study. You have a busy work schedule and other obligations to fit in, on top of school. Your best bet might be part-time, online Office Assistant training. This option lets you spread out your courses, and complete your assignments at a slower pace—around your schedule. You complete the exact same courses, and learn the exact same skills as everyone else. And you still do the 4-week internship at the end of your training. You study completely online, from your home (or wherever there's an internet connection), slowly working your way through the program in 11 months, instead of 6. You still have access to the instructor, who is there to answer questions and provide help, whenever you need it. And, you have full access to campus resources (like the computer lab) and career support services. Basically, you do 10 hours of study per week, instead of 20. This is a lot more manageable for busy students, who don't mind taking a bit longer to earn their diploma. If you're really busy, this is definitely the less stressful option. You get the time you need to absorb all the new skills and knowledge, instead of rushing through training, and feeling unsure about whether you're fully understanding the material. The "hybrid" Flex-Ed option lets students do a combination of online learning and campus classes. This is how it works: you sign up for an online version of the Office Assistant Program. You can choose the full-time (6 months) OR part-time (11 months) online training. You study online, but have the option to come to campus, and join a live class whenever you want. The is the ideal alternative for students who want that real campus experience, but can't make it to class 4 days a week. You attend some lectures online, and complete assignments from home—but can drop in on a class in person, whenever you have the time. It's the best of both worlds. The hybrid approach is definitely the most flexible study option out there. 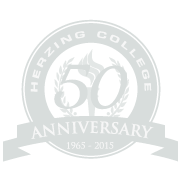 Herzing is the only career college offering anything like this. As always, you still get full access to campus resources, and support from our career services team, who help students land their first job after Office Assistant training. Flex-Ed really has opened up so many more learning options for our busiest students. It's made career training possible for people who previously couldn't consider college, because their schedules were too complicated. Are you interested in Office Assistant training, and think one of these flexible learning options could work well for you? Check out the links below to learn more about training, and how to get started. Find a study format that fits your needs, and get moving toward a better career! We're here to help. Get fast, free information about the program, delivered straight to your inbox. An Admissions Advisor will follow up with you, to answer questions and help you with next steps. Browse the program, see a detailed list of courses, and chat live with an Admissions Advisor online. We can answer questions about financial aid, flexible scheduling, admission requirements, booking a campus tour, and much more.